Here are different article published about my personal projects, studies or associative activities. 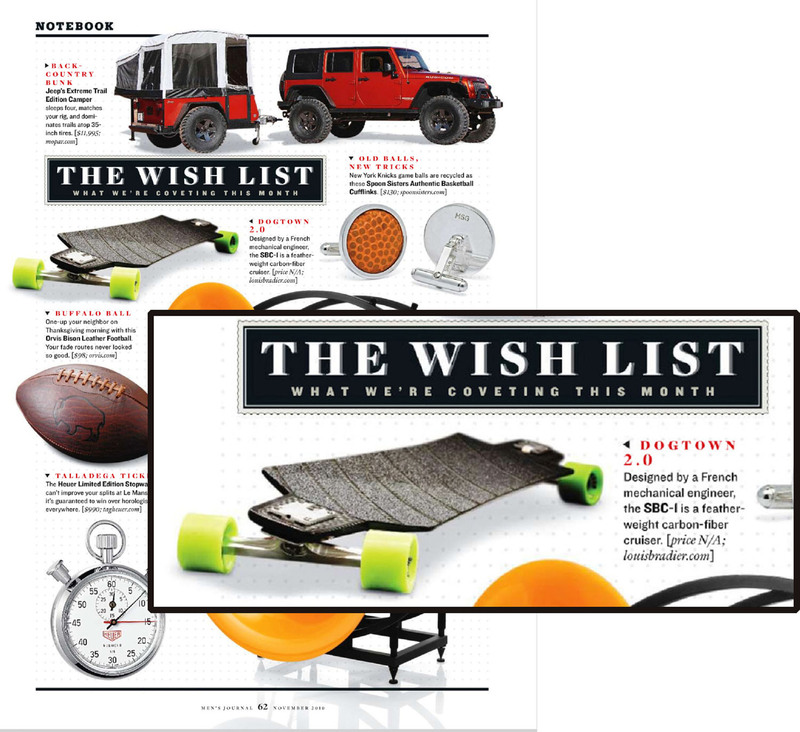 The SBC#1 was part of "The Wish List" in the well known Men's Journal of November 2010. 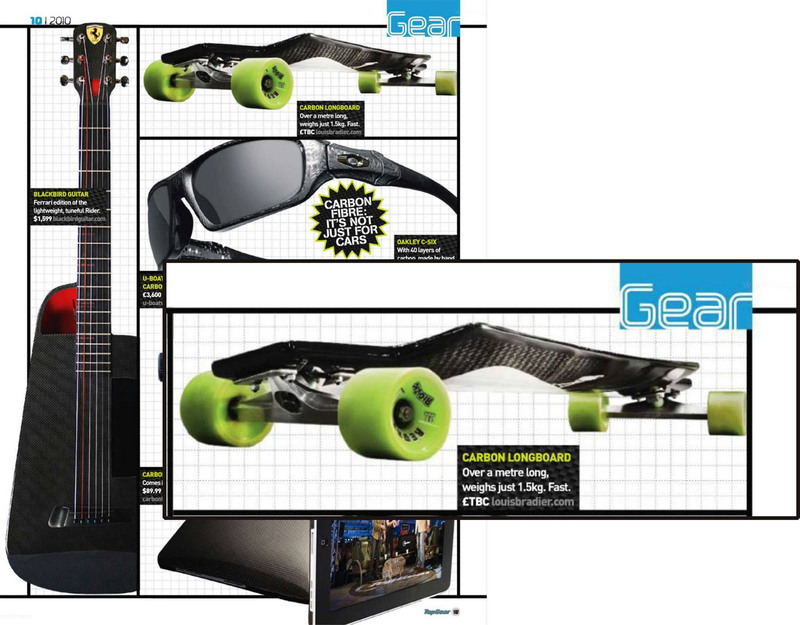 The board I designed was part of "Gear : New kit and objects of desire" in the famous Top Gear Mag of October 2010. 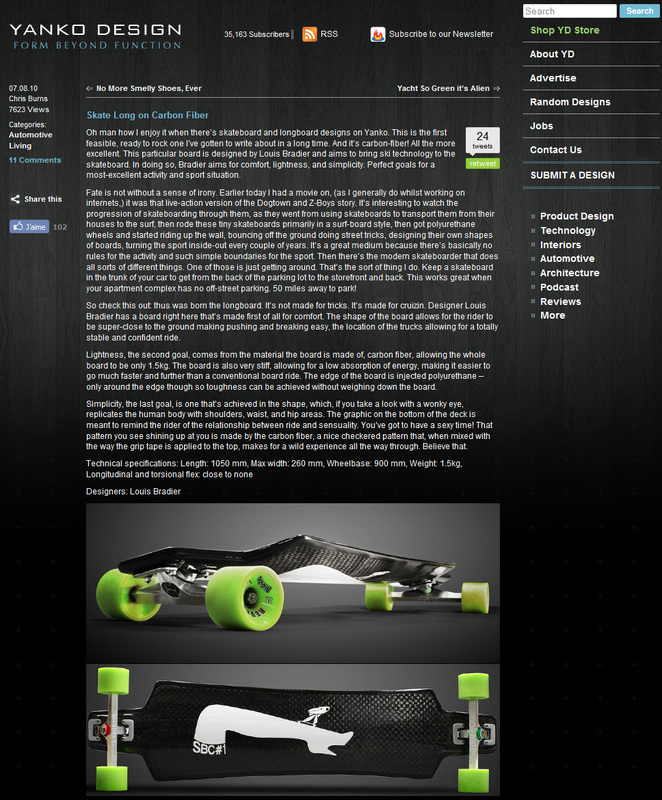 This blog post from Allison Kleiman about my longboard design SBC#1 was published on the carbon fiber design website Carbon Fiber Gear. 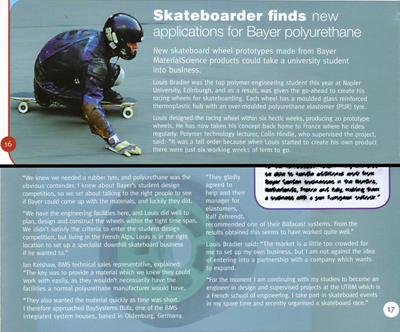 July 28th 10 - Core77 - Louis Bradier's skateboard ditches plywood for carbon fiber. Will it thrash? This blog post from Rain Noe about my longboard design SBC#1 was published on the industrial design website Core77. 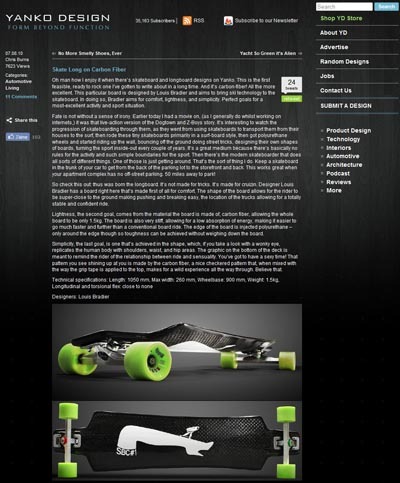 This blog post from Chris Burns about my longboard design SBC#1 was published on the industrial design website Yanko Design. 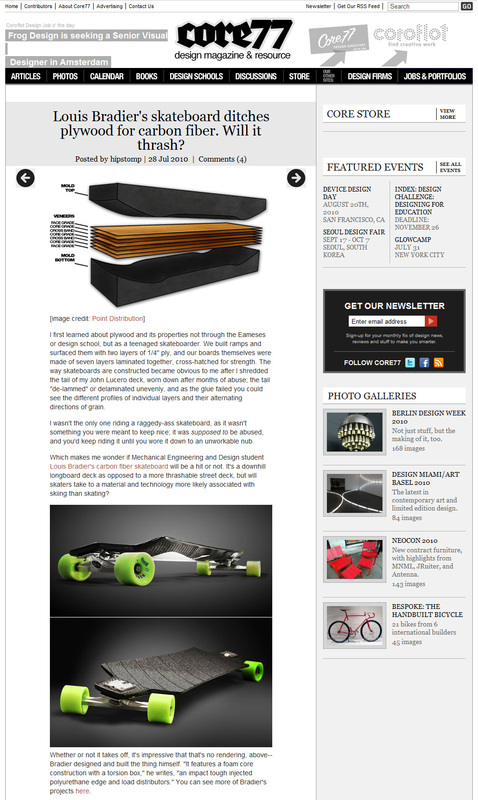 Similar articles where published on Design Lenta or Bornrich.org. 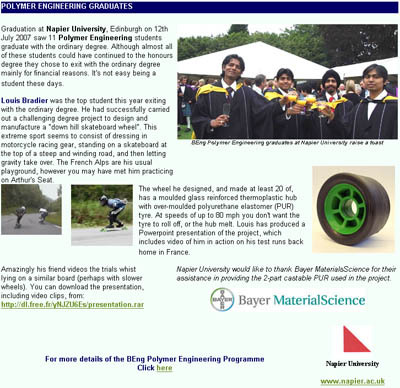 This article relate our performance done in Lausitz during the Shell Eco Marathon Europe 2009. 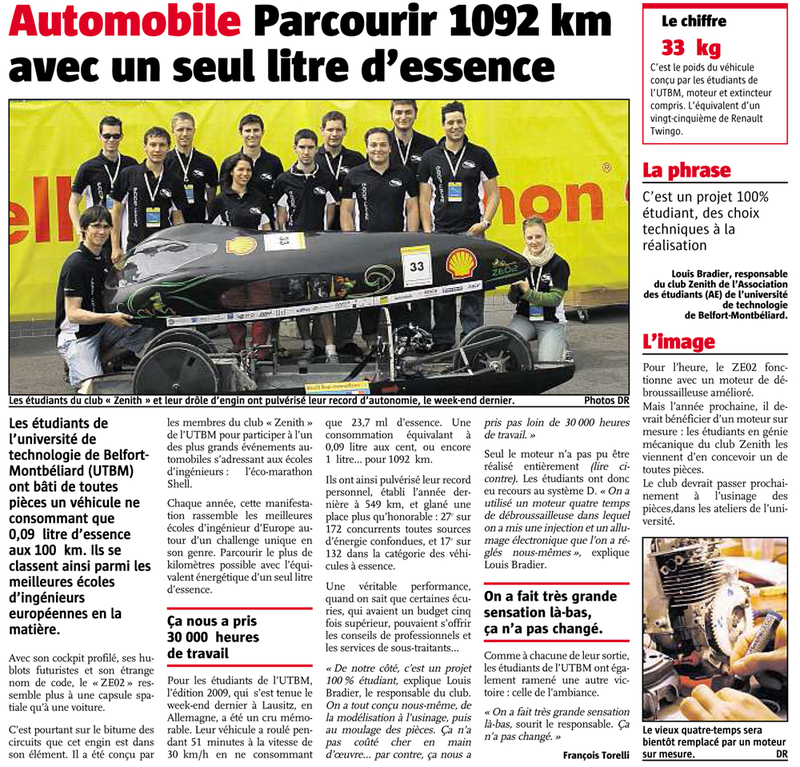 Just a small error appears in the article, we did 1082km/L and not 1092km/L. This paragraph (wrote by myself in French) illustrates the experience of a year of study abroad, and here particularly in Scotland. 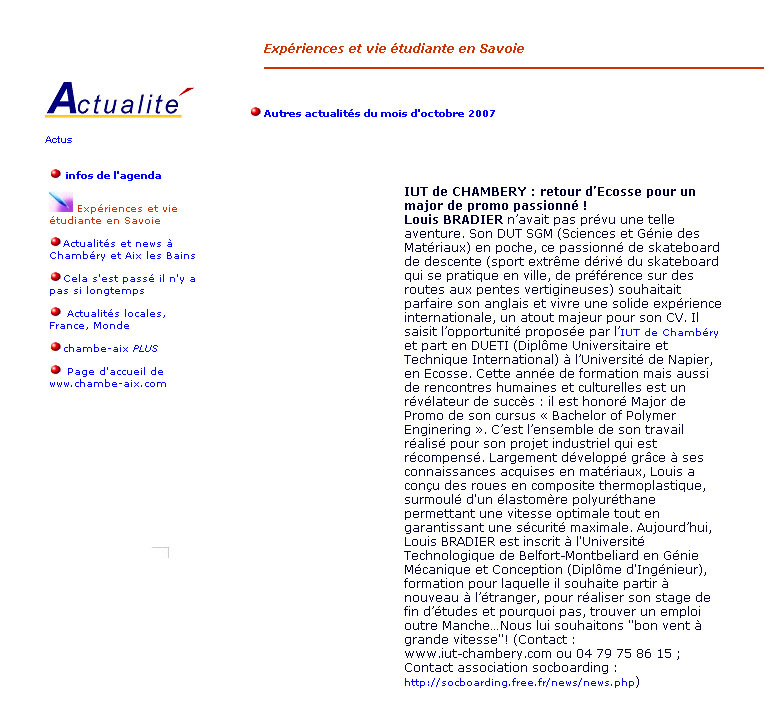 This is published on the new website of the IUT of Chambery. This is another article about my individual bachelor degree project "Design and Manufacture of a downhill skateboard wheel". 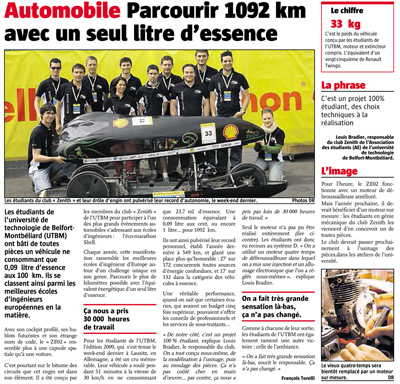 Article about my successfull year in Scotland (in french). This is an article about my individual bachelor degree project "Design and Manufacture of a downhill skateboard wheel". 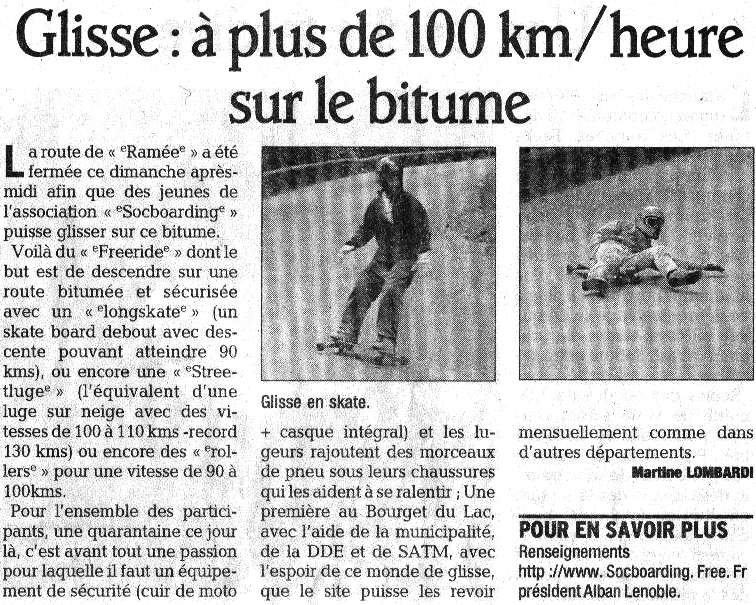 Article about explining a typical road closing for downhill sports (french). 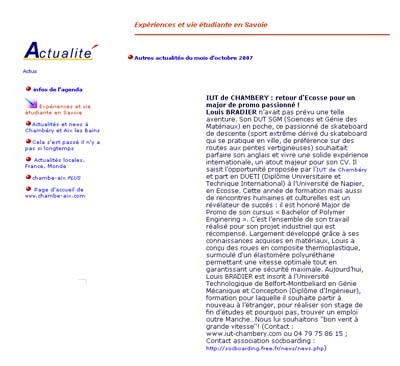 Article in the regional news paper about the openings of 2007 (french). Article announcing the openning of the season 2007 (french). 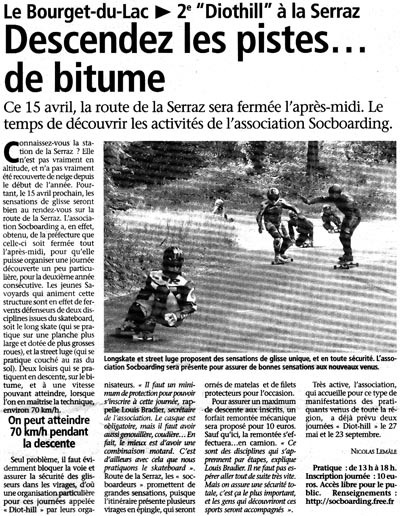 TV report about an opening session at our spot (french). First article about	my downhill sport association in the regional newspaper (french).